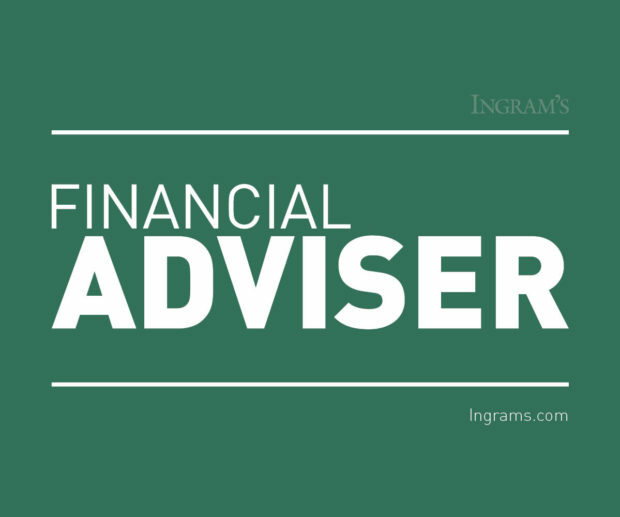 Ingram's :: Do You Know How Your Business Measures Up? What percentage of your sales are from repeat customers? While attracting new customers is crucial to profitability, customer retention is equally important to keep a strong sales base. When you are satisfied with your current ratio of new to repeat customers, make it a goal to maintain that ratio each year. Fluctuations will show whether you need to focus more attention on retention or new sales. If you can separate the costs of obtaining and servicing each customer, tracking customer profitability will help deter-mine the quality of customers. Investing inordinate amounts of time and money to retain a certain customer may indicate that your efforts could be better spent on attracting new customers to take their place. Productivity ratios are most often used to analyze a company’s labor force. For example, a manufacturer will want to measure units produced per hour, while a service based business may look at the salaries they pay sales professionals as a percentage of sales. However, productivity ratios can be tailored to measure any aspect of a business by simply choosing an output and an input to measure. Like product-ivity ratios, ROI can be applied to different business areas. Asset purchases, new products or inventory items can all be measured through ROI. If a gain can be attributed to a certain investment or purchase, ROI can be used. This ratio is helpful to determine if certain purchases were profitable and worth repeating. It can also be used to compare a class of pur-chases to clearly show the strongest option. As you start to assess them, KPIs may seem overwhelming at first glance, but start with a handful and you’ll find the process is more manageable than you expected. 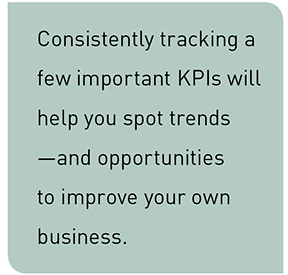 The “key” to successfully utilizing KPI’s is to choose the right ones for your business and track them regularly. By consistently monitoring a few important KPIs, you’ll spot trends and opportunities to improve. And you’ll know where to focus your attention to ensure your business measures up in the ways that matter most. Robert W. Parker is a Partner at TPP Certified Public Accountants in Overland Park, Kan.